I'm an English teacher with a passion for words, punctuation and Hamlet. A comprehensive 6-8 week unit of work with differentiated resources, assessments and PowerPoints. Uses the APP levels but can be easily adapted to your school. A lesson which seeks to teach students what a doppelganger is and what Freud meant by the uncanny. Students then go on to create their own doppelgangers. Students also look at an extract from Dr Jekyll and Mr Hyde and Frankenstein. Homework booklet can be found in my shop. Collected from across the internet. A lesson on Crooks and the themes of prejudice and racism in Of Mice and Men. Owned by SparkNotes. I use these for displays and in lessons. A homework booklet with activities which looks to develop analytical and literacy skills. Extracts come from a range of dystopian novels. Ideal for students in KS3, especially Year 8 and Year 9. It can be used in and out of lessons. It also includes a homework choice menu at the end of the booklet. Easily adaptable lesson on using punctuation and sentence structure for effect. Uses an extract from Malcolm X's autobiography. Uses the NC App levels but can easily be changed to suit your school's system. A lesson on Crooks and loneliness. A bundle pack of the two Crooks lessons from Of Mice and Men. Challenge your students with ambitious vocabulary and help to enrich their reading and academic writing. This was created with Year 7s in mind. They would usually complete this during a unit on autobiographical writing. 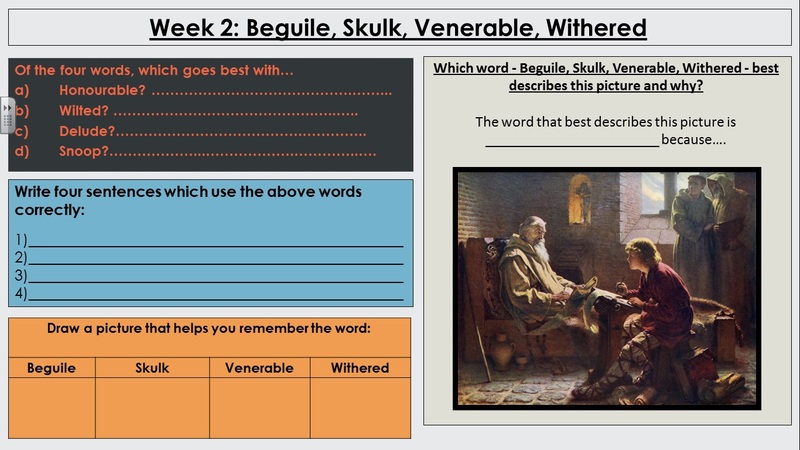 This can be used throughout KS3 though and maybe up into KS4 depending on your group’s ability. An extremely able Year 6 class may also really benefit too. Challenge your students with ambitious vocabulary and help to enrich their reading and academic writing. This bundle includes six week’s worth of Do-Nows (one slide per week). 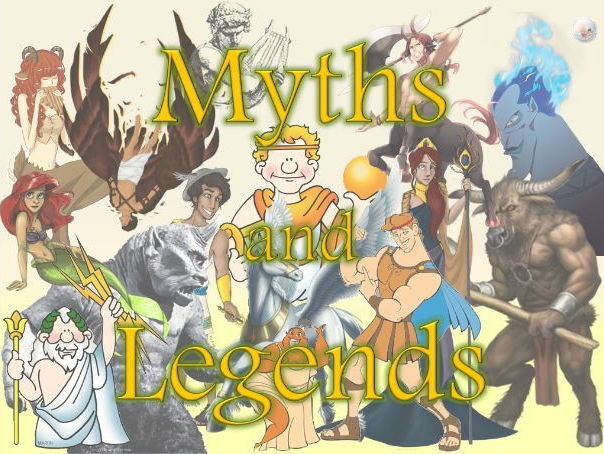 One PowerPoint for Year 7, one for Year 8 and one for Year 9. Each PowerPoint ends with a quiz on the words they have learnt over the weeks. 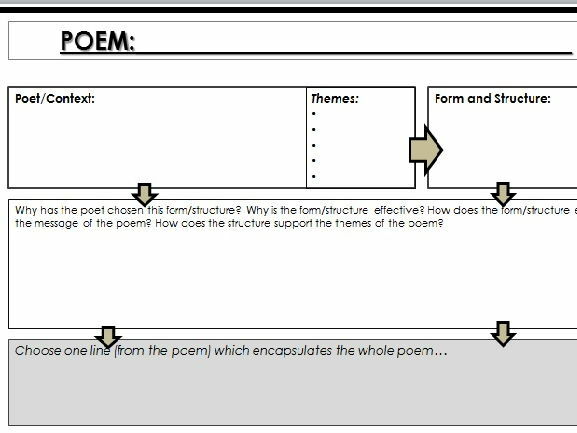 This is great for those teaching poetry at KS4 and KS5. My students make an abundance of notes in their anthologies, and so this double-sided A3 sheet helps them transfer their notes for revision to be used before their exams, consolidate their learning and help ME see where the gaps are in their knowledge. I’m sure it’ll help you too! Lesson comes from a dystopian scheme of work. 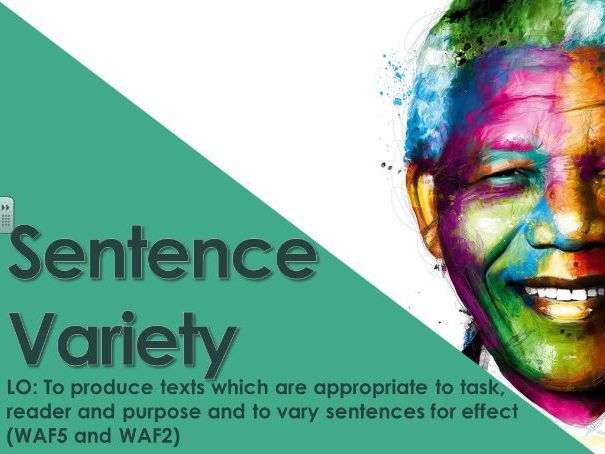 Students will be required to analyse the way in which an author of a non-fiction text structured their text. They will also be expected to identify and evaluate the most impactful technique used by the author. This leads to the students writing their own articles, using the techniques analysed, which serves as propaganda for a dystopian government. Connections are made with the real world through the use of an article about Donald Trump. 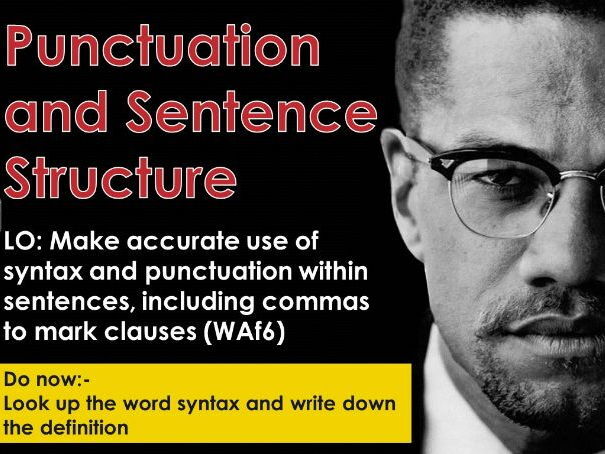 A lesson which seeks to encourage students to use more ambitious sentence structures in their dystopian writing. 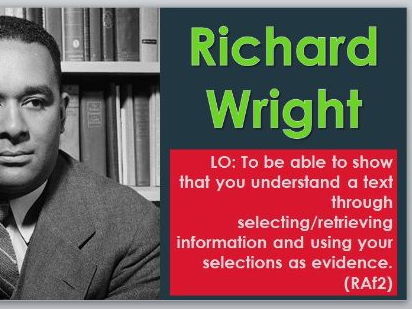 Easily adaptable lesson on selecting and retrieving evidence, using an extract from Richard Wright's autobiography, Black Boys. Uses the NC App levels but can easily be changed to suit your school's system. 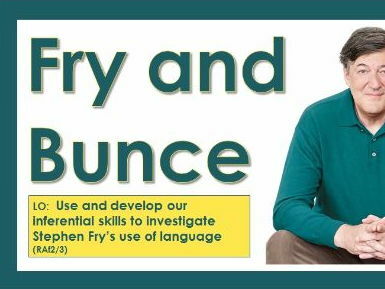 Easily adaptable lesson on inference and quotations using an extract from Stephen Fry's autobiography, Moab is my Washpot. Uses the NC App levels but can easily be changed to suit your school's system. Easily adaptable lesson on sentence structure. Uses the NC App levels but can easily be changed to suit your school's system.